In an effort that could revitalize the EHR space (at least the mainstream market), the Veterans Affairs Department’s classic and still heavily used VistA (Veterans Health Information Systems and Technology Architecture) system is getting the open source EHR treatment. In a move that is revolutionizing other technology sectors — like manufacturing, gaming and the device world and because of the success of such sites as Kickstarter (I know because I represent clients in this space and have seen their success first hand), which is a haven for open source projects, allowing volunteer programmers who are passionate about code and perhaps even passionate about healthcare, is really a pretty swell idea. From the VA’s perspective, how else could it possibly bring a beleaguered and somewhat bemoaned product like VistA to the modern area after more than 30 years in use? Certainly, the government didn’t seem to have the funds or the necessary experience to overhaul the system by itself. According to Rick Baker, chief information officer for the VA, even though there is a contract with a firm to make changes to VistA’s code to make it less complex and more readable, the open source community will be involved directly, day to day, with the EHR’s refresh. 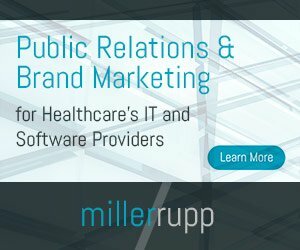 The success of involving the open source community in healthcare, and in the development and maintenance of EHRs, is showcased at Oroville Hospital in Northern California, which recently passed on some of the mainstream vendors like McKesson and Meditech for a personalized, customer version of its. Leaders at the hospital wanted the flexibility to make changes to its EHR system, and they wanted to ensure they received the attention they felt they deserved from their vendor of choice. Ultimately, they wanted total control over the hospital’s electronic health record. The best solution to the problem for the hospital? Build its own EHR. In addition to gaining every advantage over the creation and implementation of the home-grown system, Oroville Hospital plans to save a bunch of money by not purchasing a commercial system even though it is building a complete EHR soup to nuts. The hospital chose to build the system with the help of the same open source folks who are working on the VistA system; the same folks the VA is using to update VistA. Once done, Oroville Hospital’s EHR was even certified for meaningful use and the hospital received more than $5 million in meaningful use incentives. What all of this seems to suggest is that custom solutions are viable options in a sea of corporate technology offerings. With open source now breaching the professional world of electronic health records, this may only just be beginning of a wave of technology innovation, especially as hospitals and practices seek more efficient solutions and more control of their EHR technology. Given the time, patience and buy in of leaders, healthcare facilities may be closer to independence than we’re used to in the regulated and oversight-driven world that has become healthcare. Is Open Source Technology the Next Big Health IT Trend?